Home » What do Locals Eat in Costa Rica? What do Locals Eat in Costa Rica? In fact, I’m always hungry, no matter what country I’m in, what time it is, and how many dollars (or Colones) I have in my pocket. And when I’m abroad, satiating my appetite can be a true adventure and a learning experience as I engage in local culture while I get my grub on. 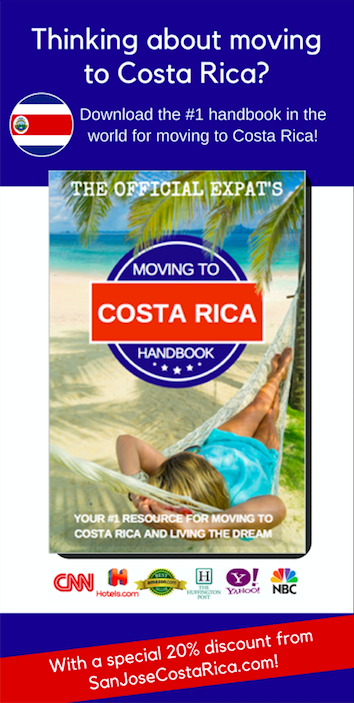 For visitors to Costa Rica, whether just visiting for a quick vacation, spending a winter there surfing, or moving there permanently as an expat, you’re in for a lot of great food, including some of the freshest fruits, vegetables, seafood, and local recipes of anywhere in Central or South America. Today, I’m going to cover some of the best food that you’re most likely to encounter in Costa Rica, including what the locals typically eat. First off, let me cover a term you’ll hear all the time if you’re living in Costa Rica: Casado. This is sort of like the platotipico (typical plate) or the common everyday meal for Ticos. Casado actually means “married,” referring to the marriage of several items on your plate. You’ll always find some sort of protein like chicken or grilled fish, rice and black beans, a small side salad or mix of shredded cabbage, and usually some grilled sweet plantains. There are other variations of Casados, as some restaurants add avocado, a fried egg, tortillas, or pork instead of chicken or fish. You’ll find these everywhere, especially in basic local eateries called sodas, as a simple and practical but delicious lunch or dinner. What else do Ticos eat? Gallo Pinto is another national staple, served at any time of the day but especially for breakfast. It consists of black beans and rice mixed together and flavored with onions, cilantro, peppers, and other spices to give it a little zest. Interestingly, “Gallo pinto” actually translates to “spotted rooster,” because that’s what Ticos think the color pattern looks like. I’d be remiss if I didn’t mention all of the amazing fish and seafood available in Costa Rica. Of course, if you’re on the Pacific or Caribbean Coasts, there will be an abundance of food fresh from the sea. Those include camarones (shrimp), squid dishes, and plenty of ceviche. You’ll also find some incredible mahi-mahi (called dorado), corbina, snapper, tuna, and more. Sopanegra is another everyday staple food, as it’s filling, nutritious and not at all expensive. Sopanegra – or black bean soup – is often indulged for breakfast and includes black beans (of course) but also tomatoes, cilantro, peppers, spices, onion, and a little bit of cheese sprinkled on top to give it the perfect texture. Patacones are flattened plantains that are then deep-fried and can be served as a snack with pico de gallo. Tamalsare particularly popular around holidays like Christmas and big family outings. They’re similar to Mexico’s tamales but heavier on garlic and lighter on spices, and also wrapped in banana leaves instead of corn husks like in Mexico. For dessert, flan is done really well at even the simplest mom and pop restaurant in Costa Rica, and arroz con leche is rice mixed with milk but dressed up with cinnamon, sugar and lemon. One last thing to remember as you embark on your culinary journey in Costa Rica: deliciosa means delicious in Spanish!